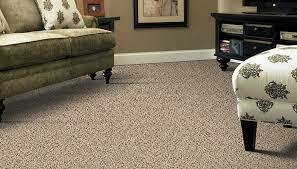 At TLC Carpet Care in Castle Rock Co we provide High Quality Carpet Cleaning services that you can count on. We have the state of the art truck-mount equipment technology available. Our hot steam extraction with the Rotovac 360I tool will leave your carpets looking brand new. We uses Bio modifier solutions on all cleanings because it kills all the bacteria your home of harmful organic bacteria, and with our bait and switch price-lock guarantee you can “lock in” your price over the phone for a period of three years. When scheduling an appointment, be sure to mention the price program and receive an additional 10% off your carpet cleaning services. For a limited time only, we’re offering 10% off our Bio modifier pet solutions package for however many rooms you need no limit, and a free bottle of spot cleaner for any of our carpet cleaning services. TLC's carpet-cleaning process includes pre-spraying, enzyme solutions, deodorizer and a 30-day spot warranty! This offer cannot be combined with coupons, gift certificates or internet ads. TLC Carpet Care offers other services such as pet urine and odor removal, upholstery and chair cleaning, tile and grout cleaning, marble cleaning, stone cleaning and Dupont Teflon services are also available. Service appointment times are Monday through Saturday from 8 a.m. to 5 p.m, exceptions on major holidays.